Ayurveda does not merely believe in adding the number of years to life but it advocate adding quality of life to each year. 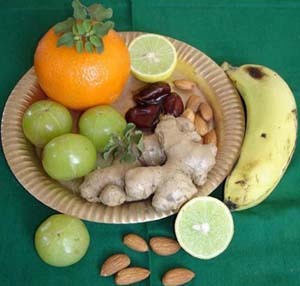 This may be one of the reasons that the first aim of Ayurveda is to preserve and promote the health of healthy persons. To fulfil this aim Ayurveda maintains two separate branches in Astanga Ayurveda Rasayana and Vajikarana since the time immemorial. Rasayana mainly deals with the promotion of physical and mental health and vajikarana drugs promotion of sexual health. The properly and timely use of Rasayana drugs promote youthfulness, provide longevity, memory, intelligence, complexion, body glow and best physical strength, health sense etc. All these actions of Rasayana indicate towards the fact that undergoing the Rasayana therapy one can live a long span of youth life, fully of vigor and free from diseases as well as adverse effects of ageing. But such a span of life is possible only when one has strong resistance and general immunity against disease. There for it can be postulated that rasayana helps immunity improving effects. Now a days prevention of the diseases is so much that practically it is importance achieved by immunization specifically against the each diseases. But number of diseases is so much that practically it is impossible to immunize a person against all disease. On the other hands The concept of Rasayana seems to increase the general immunity so that umbrella against the diseases and ageing by promoting the general immunity of a person so that he can fight out any type of disease at its very onset. It is obvious that the concept of general immunity (Vyadhiksamatva) is present in Ayuveda since the period of Charak samhita. For these purpose rasayana Drugs particurly used. Other measures Shodhana and Practicing the rules of Dinacharya, Sadhvrita, and Rasayana. To prove the hypothesis that Rasayana drugs may have immunity promotion effects various researches were carried out and showed that Vacha, Shatavari, Madukaparni, Ashvagandha, Guduchi, Amalaki, Shatavari, Varahikanda, Kapikachhu etc have very significant effects. I personallyapply a little of your own concepts?